When you start a blog (or are planning too) the number of things to do can be overwhelming. I definitely felt that way in my first month. Luckily, the internet is a wonderful place where many people are very helpful! In the blogging community especially there are a lot of helpful bloggers who want to share their findings with new bloggers. The number of posts on this topic is insane. I’ve read a lot of them when I was first starting this blog and I still like to read them. I wanted to share my favourite resources with you and anyone who would like to start a blog. I’ve organized this list in an order that hopefully will make sense! I want to add a side note that most of the big bloggers will recommend Bluehost. Even though they have probably amazing service they are kind of expensive so do your research before investing in a host. Both of these sites also contain a lot of other helpful posts so do check them out! The third very helpful site Is the First Site Guide which is full of WordPress tutorials and great Blogging help! They feature both beginner help and some more advanced tutorials. They are just a great source to keep in your blog reader. Including this great hosting oversight if you are looking for that! So if you have your blog setup and it’s all pretty and done it’s time to get to the posting part. Writing blog posts can be hard, sometimes ideas are just not lying around. For your first blog post, you can always go for an introduction (maybe with a link to your about page!). After that, you need some new blog posts. For that as well, there are a lot of options. 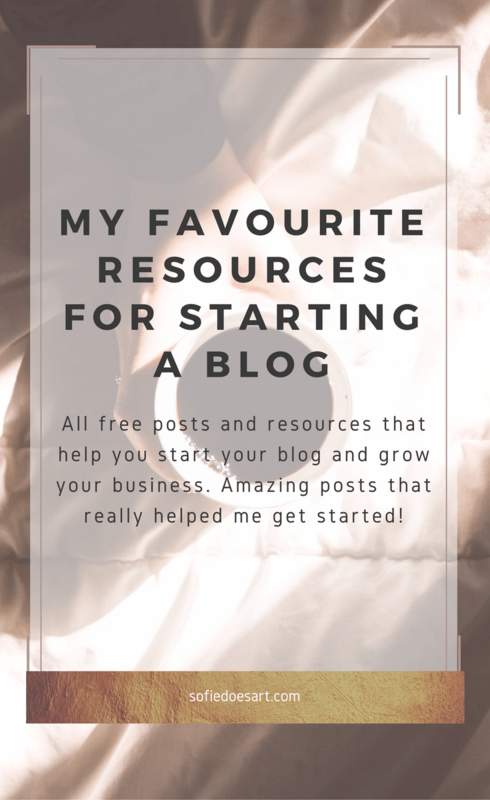 One of my favourite blogs by Regina has a blog post with 51 types of blog posts to help grow your reach. It will take sometime before you have written those all! Another amazing post is 5 foolproof ways to never run out of blog post ideas and it comes with a freebie if you sign up for the email newsletter. The freebie includes another list of 50 prompts to keep you writing! If you want to keep it seasonal you can always start with some autumn blog posts (by missamrunaway) ideas (mostly beauty related). I personally really like 8, 12, 19 and 43. I think that this gives a lot of body for your blog. I think It would be great if you start off with a few blog posts already there so you can attract readers. I hope this gives you something to go on and is helpful. I personally just really like reading these and I think the tips are incredible. It is for everyone to decide on his own what they want for their blog. You can follow the tips you like and disregard the ones that you don’t like and build a blog that is all you. I also wrote a blog post on what mistakes I made in my first month of blogging and how to avoid them. If you have your blog all set-up and you have some blog posts, all you have to do is keep going. Being motivated and posting regularly is what is going to make your blog grow. There are many posts on that as well! If you are interested in what other posts I like and which blogs I keep up to date with I have a Pinterest here. As you can see there are many great free sources online that help you write amazing blog posts. It is all about finding those that are useful for you and really implementing the steps! The next post will be my 1 month check in for starting my own creative business! I hope to see you there! If you have any resources that you love (Or have your own blog post in this category!) feel free to share it below in the comments! What a fantastic list of resources, Sofie! You listed a bunch of my favorites (I love Regina too! ), but some new ones as well. Thank you so much for including my color scheme tips! I am so happy to hear you found them useful. I really appreciate you taking the time to read and share my blog. Thank you so much for the kind words and thank you for writing such an amazing post! Your blog is very beautiful and helpful. I’m very honoured that you took the time to check out mine.